We are at Kings Cross Today! Today, 16th November, is World Pancreatic Cancer Day 2017 and we are trying to spread as much awareness of the disease as possible! 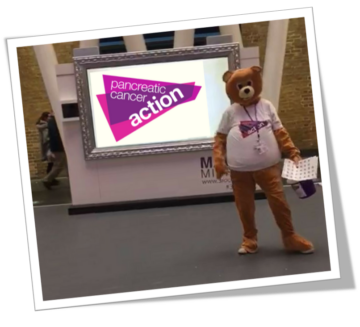 We will be at Kings Cross Station in London today with our PCA mascot, Aware Bear, speaking to people about pancreatic cancer. 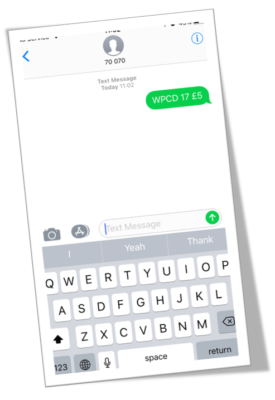 Don’t worry if you can’t make it to the train station today, there are many other ways you can help wherever you are! improve the lives of those living with pancreatic cancer now and in the future. We provide free patient information, fund research studies and raise awareness to the public and medical professionals of the signs and symptoms which we couldn’t do without you! 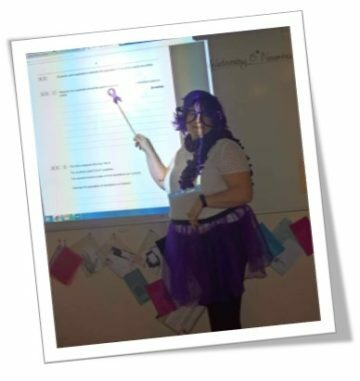 Dig your purple clothes, hats, scarves, gloves, bags or even fancy dress costumes out of your wardrobes and wear them to help spread awareness of pancreatic cancer! Tell all your friends and family that it is World Pancreatic Cancer Day and share our Twitter, Facebook and Linked In posts today! 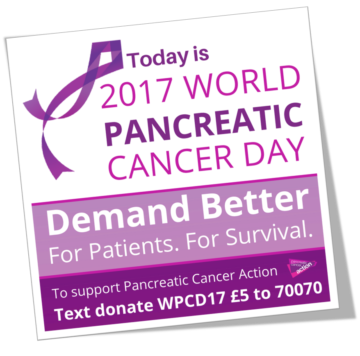 Previous Article Demand Better on World Pancreatic Cancer Day Next Article World Pancreatic Cancer Day 2017 - what a day!